The two 'Masterchef Australia' alumni head off on an adventure Down Under in this new series. At first glance, you may think that Dan Churchill and Hayden Quinn are merely two good-looking models. If that's your first impression, you are absolutely wrong... well, the good-looking bit is correct, though. 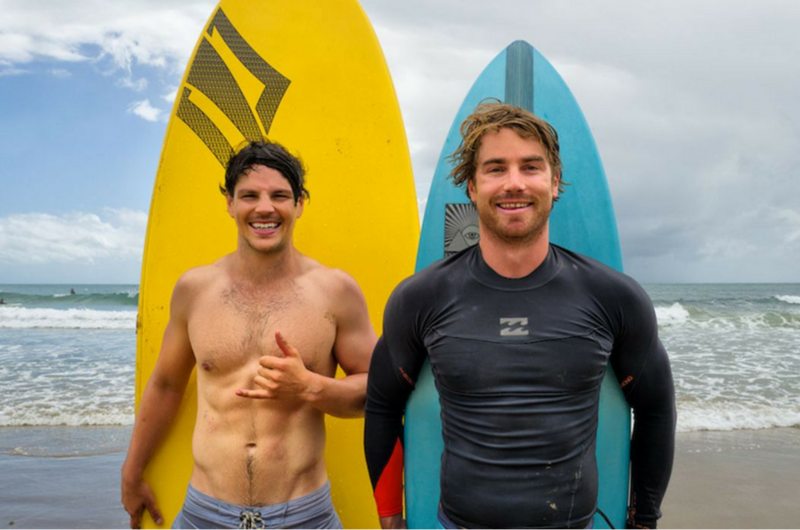 Dan and Hayden both share a passion for cooking, surfing, and adventure, which basically summarises the brand new series on TLC, Surfing the Menu: Next Generation. In this series, the two lads embark on an exciting journey around Australia along with GiGi, their trusty 50-year-old Volkswagen Bug. Some of Dan and Hayden’s most unusual experiences were with the indigenous communities, such as searching for bees that nest underground, swimming in a hidden waterfall, hunting for bush medicines and bush food, and surfing in the most remarkable spots. Besides these great adventures, the boys also never failed to demonstrate simple, healthy and delicious recipes with the fresh produce that they found along their journey. A couple of weeks ago, Dan and Hayden touched down in KL to share more about their experience filming Surfing the Menu: Next Generation. We spent a brief moment throwing random questions at them and the answers are pretty unexpected. Surfing the Menu: Next Generation premieres tonight, 10 October 2016, 9pm on TLC (Astro Channel 707). Don't miss it!